Laundry detergent, paper towels, dishwasher tablets – all items that a typical household is likely to buy on a regular and recurring basis. The purchases themselves are often routine, even mundane, so it’s no surprise that an increasing number of consumers are “automating” them. Automation comes in two flavors: subscription services, which ensure that products are delivered on a scheduled basis, and on-demand purchasing, which uses technology like Amazon’s Dash Buttons to place orders without the need to visit a website or store. While autopilot consumption is far from huge, it is exerting a growing influence over the market. 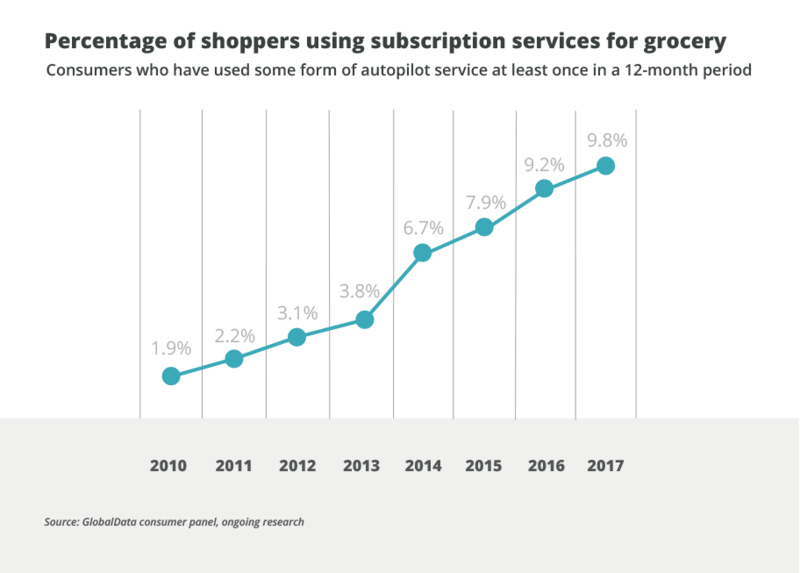 Back in 2010, just 1.9% of consumers used some form of subscription or automatic ordering service. Last year, that number stood at 9.8%, and it looks like it will grow to over 14% this year. In some customer segments, such as older millennials who have formed households, the penetration is even higher. The impact is disproportionate across categories. Laundry, household cleaning products, and kitchen and toilet paper are the most highly penetrated categories. Interestingly, all of these are often considered “boring” purchases that give the buyer little stimulation or satisfaction. The fact that these products are also used regularly makes them highly suited to automatic consumption. At the other end of the spectrum are categories like snacks and baby products. While the popularity of baby items is influenced by the fact that not all households have infants, these are also sensitive purchases that shoppers take more care and time with. The same applies to snacks, although in a different way – these are often more indulgent buys that warrant more consideration. 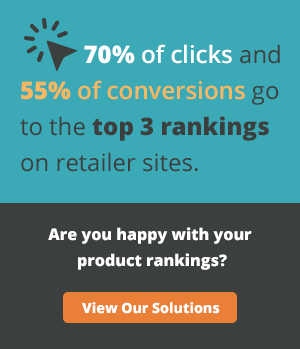 In essence, the categories that add little value to the shopping experience or where products are undifferentiated, not very innovative, or uninteresting are the ones with the highest risk of being switched to autopilot. 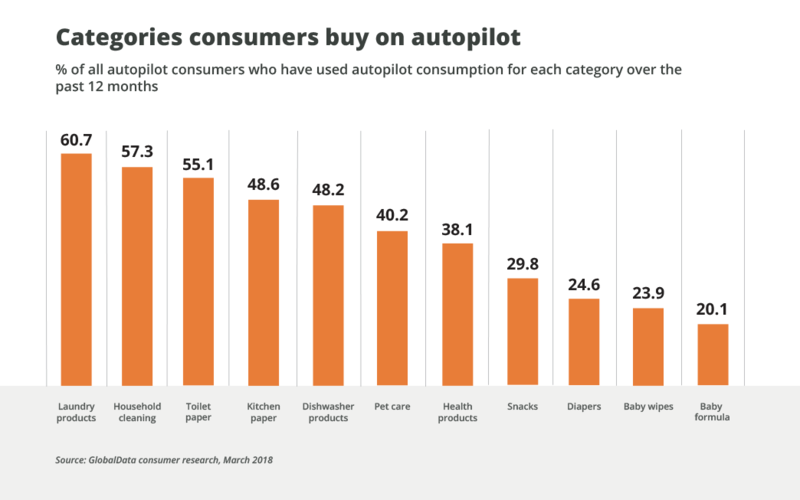 Why do consumers switch to autopilot mode when it comes to buying everyday essentials? Is it really that much hassle to walk around a supermarket and pick up a few products? It turns out that in today’s time-pressured society, this is the case for over three-quarters of consumers who engage in this method of shopping. Saving time and convenience are the top two reasons for using autopilot services. Other factors are also at play, including the peace of mind of never running short or running out of an essential product or simply forgetting to add the item to the grocery list. Changing shopping habits and the propensity to use supermarkets less also factor into the decision, with this reason being particularly prevalent among younger consumers. 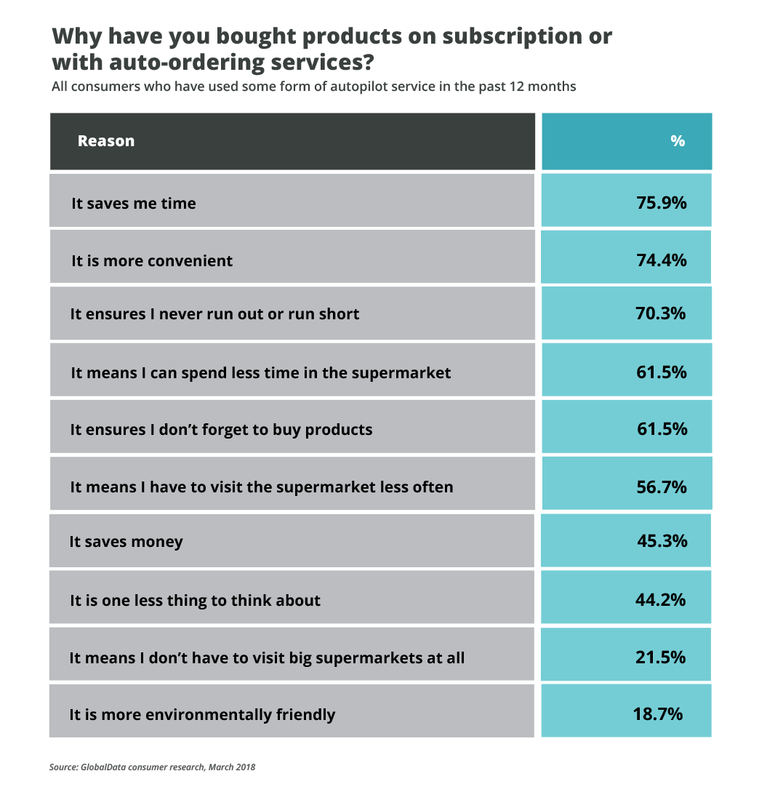 Interestingly, while saving money does play a role – mainly because buying on subscription can unlock discounts – it is neither the primary factor nor is it mentioned by a majority of consumers. This is important, as it suggests that any brand wanting to move shoppers away from autopilot mode is unlikely to achieve their aims through discounts and offers alone. Ultimately, autopilot consumption is about creating a frictionless, low-hassle way of procuring products. While autopilot is good for the brands consumers choose, it is far less satisfactory to those left out in the cold. The reason for this is that once autopilot has been activated, a consumer is much less likely to engage with alternative brands and therefore switching is lower. These alternative brands are more likely to find themselves locked out of the consumer decision-making process. 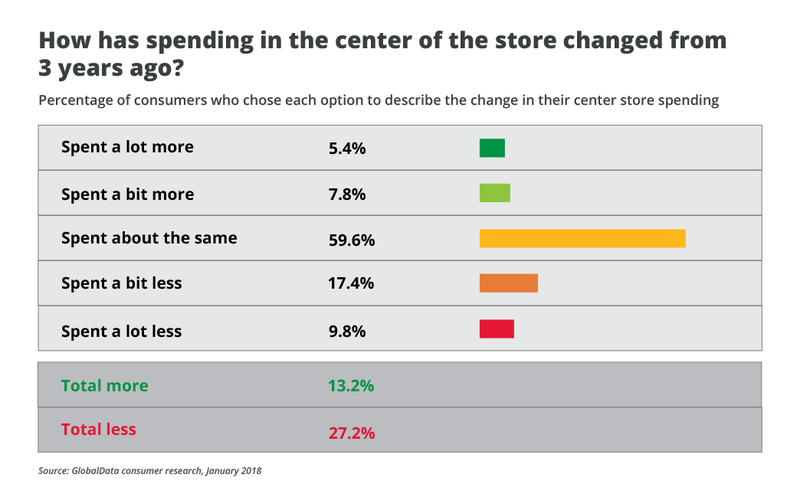 The ability of brands to influence consumers in stores is also diminished because, among other things, autopilot buying has resulted in fewer people visiting the center aisles. This makes traditional point-of-sale marketing and promotions less effective. It also means that factors like packaging design and new formulations are less likely to be seen by consumers and drive brand switching. A further complication for brands comes from the fact that most subscription-based shopping is currently done via retailers like Amazon and Target. This means that retailers get to influence the initial subscription choice in terms of which brands they promote. To date, there has been a degree of neutrality in doing this, but as a player like Amazon develops more of its own brands, this will likely change. In effect, autopilot consumption mutes traditional marketing and makes it far more difficult for brands to persuade and influence consumers. 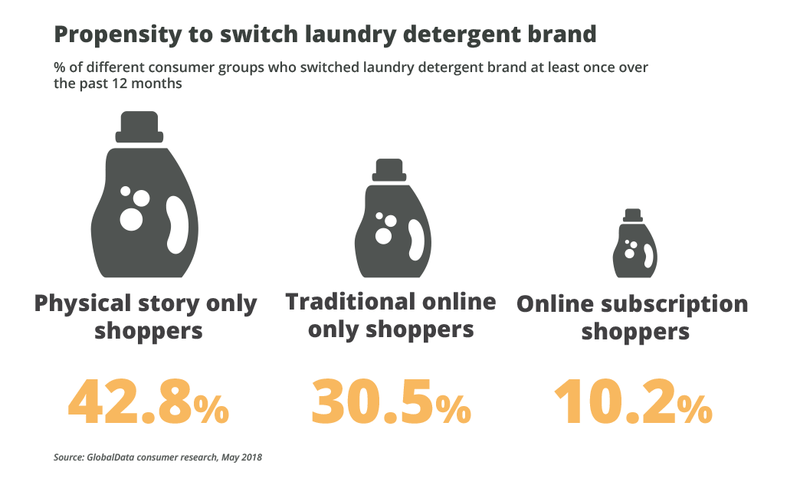 Making categories more interesting and engaging to shop in stores and on websites: For some products, this will be a challenge, but there is definitely room for improvement in the way items like laundry detergent and kitchen paper are displayed and merchandised. Working with retailers to create better selling environments will, in some instances, help mitigate a migration to autopilot consumption. Finding creative ways to get in front of customers: Once consumers have moved to autopilot mode, those brands that have been locked out need to think about how they might reach consumers to showcase products and persuade them to switch. Creative initiatives like giving away free detergent with new washers, including free product samples in online orders, and persuading retailers to allow products to be demonstrated in high footfall locations are all possibilities that should be explored. Taking advantage of the trend and selling directly to consumers: Although care needs to be taken not to alienate retail customers, brands are arguably in a position to offer better price deals than retailers. This route requires the building out of both fulfillment and customer service infrastructure, but it also gives brands the power to gather consumer insight, cross-merchandise and generally have deeper connections with their customers. Connecting directly with shoppers via concept stores: This is another tactic for staying on the radar. AriZona Iced Tea’s recent pop-up shop in New York City is a great example of how a brand can create excitement and interest in a social media-friendly way. The bottom line is that as more consumers become less mindful about buying essentials, brands will need to work far harder to grab attention and stimulate switching. And that requires a very different set of skills than many big corporations have traditionally employed.